Your phone just got a little more addictive. 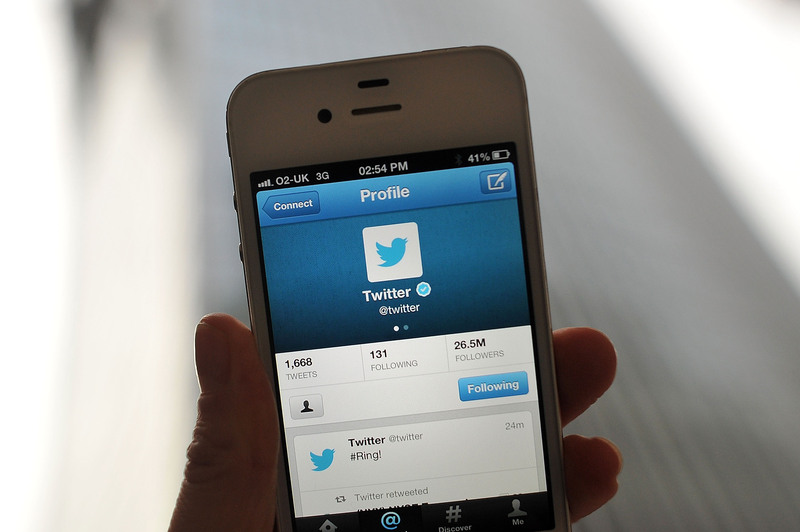 An update to Twitter's mobile app will let users tag people in posts and upload more than one picture in a Tweet. The update was rolled out Wednesday, and can be accessed by updating or downloading the app on iPhones and Android phones. Now, you can tag up to ten people in your photos and include up to four photos in a given post. The tagging feature is available to all of Twitter's users now, while the photo feature is only rolling out to the iPhone today. It should be usable on Android and Twitter's website soon. Other, more cosmetic changes were rolled out to the Twitter app today. A user's profile picture has now migrated over to the left-hand side of the screen, and the big cover photo displayed behind profile pictures has been granted less screen time in the update. Twitter is now showing a view count below some users' Tweets, too. The view count lets a user know how many people have seen a given Tweet. But Twitter hasn't commented on that change or how many people can see it. The changes are supposed to make Twitter's photo interface "more social," the company said in a news release. Which basically means Twitter is trying to become the Facebook of Instagram, or something like that. It wants to become a party app. We’ve known for a long time that great moments on Twitter typically have a photo with them. People like pictures. People like seeing themselves and their friends in pictures, #amirite? Go forth and tag thyself, ye Twitterers.